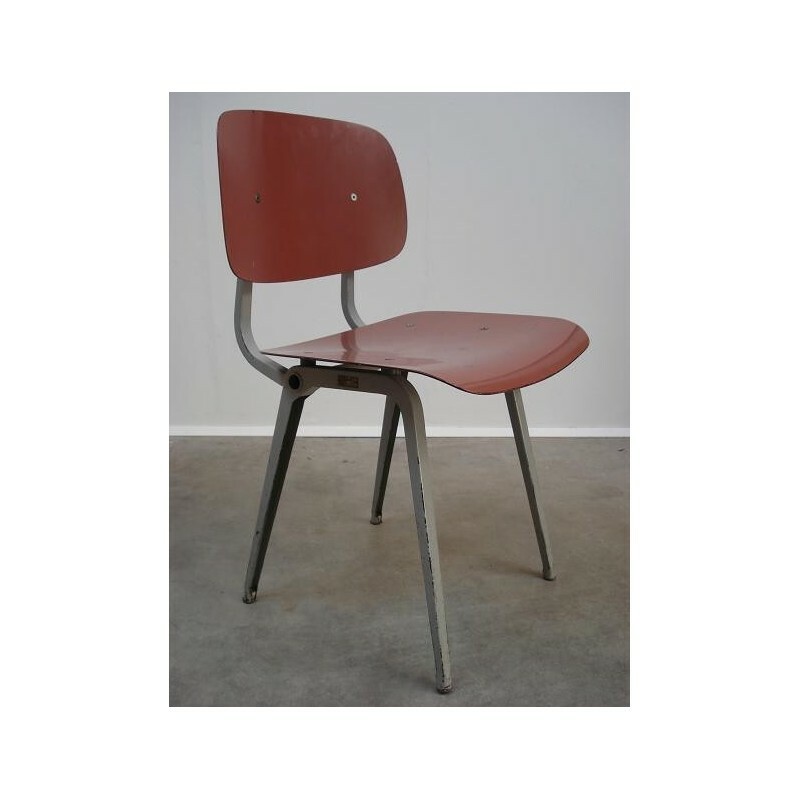 First edition Revolt chair. 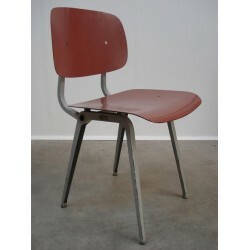 Designed by the Dutch designer Friso Kramer in 1954 for Ahrend De Cirkel. This chair has a gray base and a pink seat.